Professional web development in Sri Lanka. We can professionally develop a system to suit your specific web development requirement. We install and configure open-source content management systems like Wordpress, Joomla and Opencart and we extend the functionality of these platforms by using third-party plugins and modules for satisfy customer's Ecommerce web sites requirement. We will work closely with you to collect information of your business then we will convert our findings into a website. Web Design is not just appearance and arranging the images and text together. 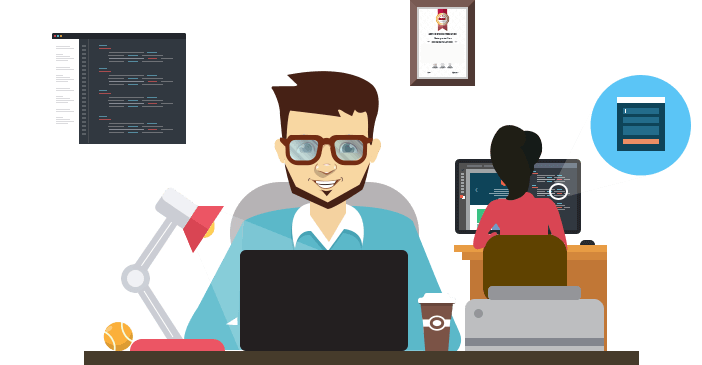 Our web developers will build your wining web site with world-class user interface design and techniques. Web design srilanka. We fast growing web design company in srilanka. Our main target is to ensure that we designed websites clear, polished look and feel. To add on to this to web site, we have a user-friendly and secure Content Management System (CMS) that enables to clients, edit and publish their content to the website. Whether you are seeking to attract new genuine clients, increase the clients awareness of your products and services, provide better convenience for your customers, reduce time consuming to phone calls, reduce costs for posting or faxing, increase genuine customer enquiries, increase sales and profitability of your business, reduce printed advertising costs of you business, open your business to the world 24/7, or perhaps expand your business to global markets. Our web development service can simplify this process for you. We have deep knowledge of ecommerce systems how to implement and how to secure it. Cyberexpert, we are a team of well experienced Web development in sri lanka. Who wants to design a high quality cost effective websites for businesses we are happy to work with you for satisfy your requirement. Our main goal is provide excellent websites taking on projects that should challenge us to continuously improve our skills. We take pride with our works and hope our every client do too. Please refer to our web development portfolio or read more about our website development process. Contact us today for your Ecommerce website requirement.